Dr. Oscar Joe Hines is Chief of the Division of General Surgery at UCLA. He has a broad clinical expertise with particular interest in complex abdominal surgery. Dr. Hines’ research is focused on pancreatic cancer biology. 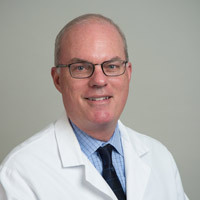 He serves as the Director of the UCLA Agi Hirshberg Center for Pancreatic Disease and as Vice Chair of Administration for the Department of Surgery. Nationally he serves as a Director of the American Board of Surgery, a national organization responsible for the certification of surgeons practicing in the United States. Dr. Hines has been voted one of the Best Doctors in America. Detailed information on gastrointestinal conditions in children, including Colic, Constipation, Diarrhea, Reflux, and Inguinal Hernia. The pancreas is involved in blood sugar control and metabolism within the body, and also in the secretion of substances (collectively pancreatic juice) which help digestion. Detailed anatomical description of human pancreas, including simple definitions and labeled, full-color illustrations.